All our plant and equipment is owned and maintained by Kerway. Our cement/lime spreader is self-calibrating to manufacture specifications and our Bitumen Spray Truck is calibrated to NATA standards. Kerway has a selection of fully automated aggregate spreader trucks as well as manually operated spreader trucks. 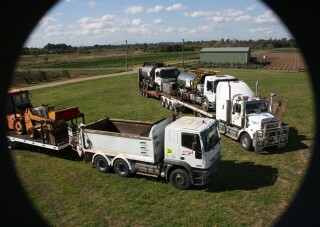 Our fleet also consists of Bulk Bitumen Tankers from 12,000 to 24,000 litre capacity.